Seamlessly integrating end treatments and transitions. Complementing our Safety Roller Crash Barrier and existing barriers are our highly-engineered transitions for end treatments. Accredited to MASH TL3 and TL4, terminal ends are required when our Safety Roller Crash Barriers are installed on a road network. 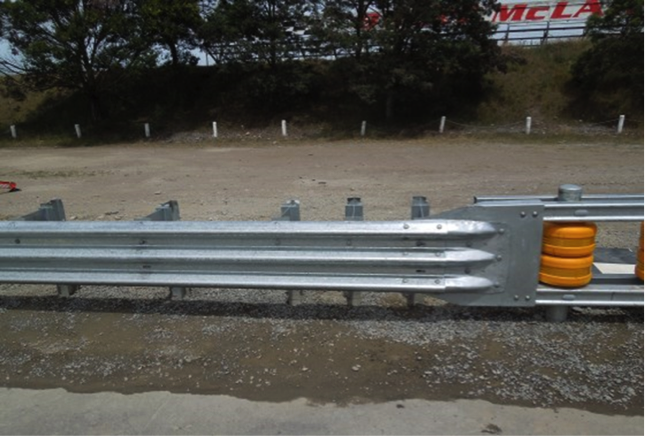 Our Safety Roller Crash Barrier can also integrate with any existing W-Beam terminal end, treatment, or link with the W-Beam or Thrie beam guardrail systems and crash attenuators.